Por cancelaciones o cambios en las reservas, comunicar con un mnimo de 1 semana de anticipacin. 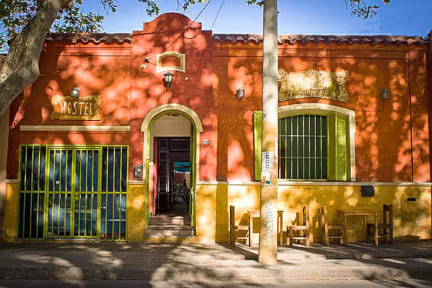 Set in a typical house of Mendoza, only 3 blocks from the bus terminal, surrounded by 3 good restaurants, a big winery, supermarket, a wine shop and an ice cream store, Casa Pueblo Hostel is an economic place run by a family to help travelers discover Mendoza, make friends and have a good time. We have air conditioner and offer laundry service. 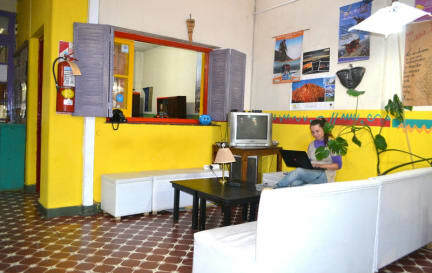 Our hostel is managed by a family , it is a typical colonial house decorated in a traditional style and vacancies for passengers that want to feel at home. Get to know the lifestyle of Mendoza, make new friends, have a great Argentinean BBQ with wine, do adventure sports such as rafting and paragliding and discover the springs, parks and the famous Aconcagua mountain. -A book exchange facility and a library.